My Beer Diary started life as an actual honest-to-goodness diary — or at least a notebook — and that remains its fundamental existence; there’s just something about taking on-the-spot handwritten notes that’s enjoyably impossible to replicate with gadgetry. The original was a component of a particularly-awesome present I got one year from my good friend George while we were both living in Melbourne. 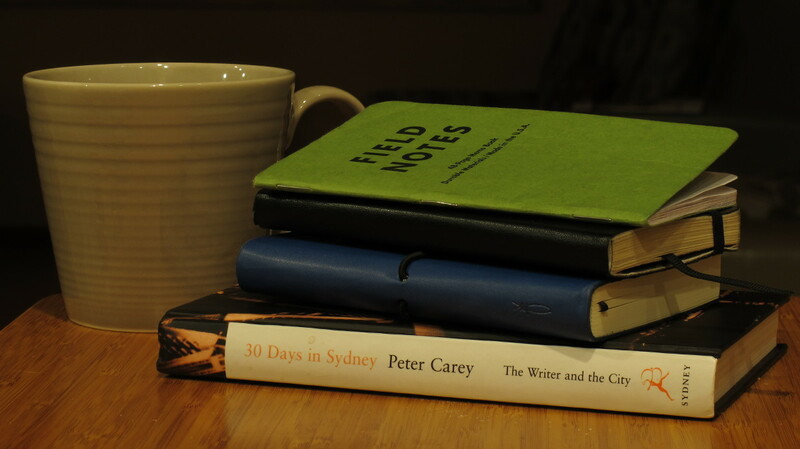 He gave me a chilly bin (‘Esky’, if you’re Australian; ‘cooler’, if you’re American) which contained several beers I’d never had before (from the excellent King & Godfree near our house) and had a notebook and pen perched upon it. He’d noticed I was on the turn from Ordinary Person Who Likes Beer into Proper Beer Nerd, and so I should start making some documentation — especially since my memory functions well below Human Normal. The Diary lasted several years, with entries initially rather infrequent owing to my forgetfulness but then accelerating considerably as a) said Nerdiness grew, b) I finally made a proper habit of taking it with me, and also once c) I finished law school and promptly went back to working behind a bar for my sanity’s sake. In 2010, it was at last running out of pages, and — as the transition to Diary II (which had usefully already appeared, as another present from another flatmate of the time) loomed — I decided to preserve it online; partially to preserve its contents in case I should lose the thing itself, partially to ease the annoyance of not being able to find things easily among its 300+ entries, and partially for the sake of those peculiar few-but-actually-existing people who had expressed curiosity as to its contents when they’ve seen me scribbling in it. The initial Great Uploading took place in late September / early October of 2010, but entries were back-dated to reflect their actual creation, which made sense at the time and then became headache-inducingly confusing as the online version diverged from the physical one and took on a life of its own — with the podcast, with various non-Diary rants and rambles, and such — so that practice was shelved in May 2012. Despite the potential for (and the reality of) various instances of awkwardness and embarrassment, my original notes have always gone up as-is and with a verbatim transcript. Keeping the Diaries has been a massively rewarding experience; I encourage anyone with a scrap of geekiness about what they’re drinking (or indeed any other subject) to do the same. Maintaining actual, handwritten, on-the-spot notes of something as you explore and learn has an interesting and beneficial effect on the brain.